Still, in the present times, there are many businesses that maintain different databases for their customers and thereby often find it becoming a nuisance to keep everything well managed and synchronized. Exporting data from one software platform to another and trying hard to resolve dependencies and conflicts can become really cumbersome, especially when you are dealing with a very large amount of data. Therefore, it is recommended that you should practice keeping one centralized database, a repository to maintain all your useful data, as we find in a CRM database. Here is how a central database can help you in making your business operations more efficient in the long haul. Inbound marketing strategies have altered the fate of hundreds of business establishments (for the better) all across the globe. However, this is also true, that not all the leads generated are useful. Moreover, in addition to your prospective leads and customers, you will also find many competitors filling out your forms, just to find the feel of your services and eventually try to bulwark a way into your customer database in your online lead management software system. Additionally, vendors those who have the singular objective of promoting your company something may also break into your CRM database and remain there without ever thinking of being your customer. Therefore, over a span of time, if you do not periodically clean your customer database, it will eventually accumulate unsought for data that can become a problem in the long haul. Here are a few steps that you can take in the attempt to make your CRM database cleaner and therefore more optimized. 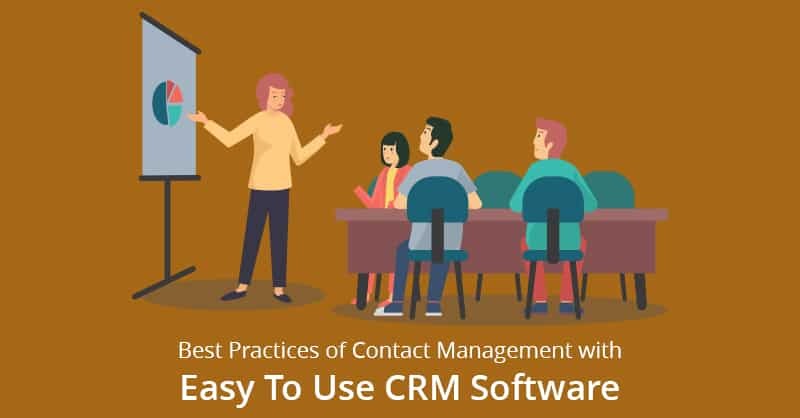 Implementing an easy to use CRM solution is indeed a step in the right direction, however, in order to maximize upon customer relationships, and productivity, you should always keep a tab on your customer database in CRM. Contacts, that have remained inactive and silent for an extended period of time should be essentially pruned, if and when it is viable to delete their records. Since, hopelessly following leads that are clearly not interested in your offerings can be very damaging for your company’s reputation over time. Your marketing database software is the golden key to your company’s success, and that is why it needs to be kept clean and efficient at all times. Therefore, it is most needed that you must ensure that every single duplicate identification is removed from your CRM database. 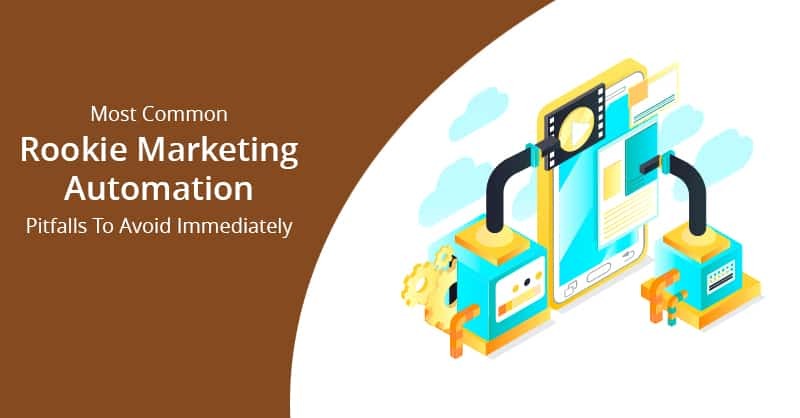 It is a common fact that as soon as your business grows and gains a reputation, it is inevitable that duplicate information will start piling up in your customer database in CRM. Therefore, it is advisable that you must run a periodic check on your CRM database to find and remove duplicate entries or scrutinize both the lead and customer records and after finding out which entry has better information, merge both the records for optimal performance of your customer relationship software system. 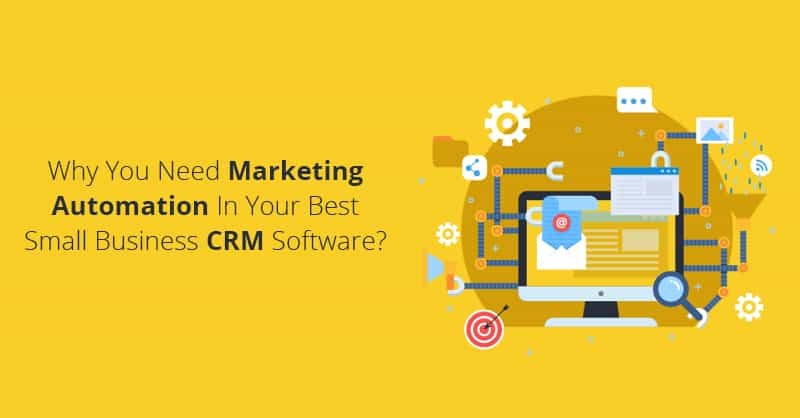 Any good easy to use CRM database software allows its user to set up alerts that trigger when certain actions take place so that you keep everything under check. For example, with ConvergeHub CRM you can use time-saving tools like “Manage Duplicates” and “Merge Duplicates” that can prove to be essential in a scenario where two customers or leads have the same name, last name but different phone numbers or emails. A CRM database cannot remain clean if uniformity is not maintained- and by no means is it a child’s play. For an example, let us assume that you allow your leads to type their country where they reside instead of allowing them to choose from a drop-down list. In this case you will eventually find a lot of inconsistency in your database, as people hailing from the United States of America, will provide you entries like “USA”, “US”, “U.S.A”, “U.S” and others which will be a sucker blow to your CRM database’s uniformity that can only be rectified by manual correction of data. Your CRM database will inevitably have anonymous leads that will enter fake email addresses like asdfglkjh@gmail.com or blahblah1234@hotmail.com. These junk lead data often pollutes the CRM database, which a good CRM software can run a search and identify and thereafter remove or suspend the information from the online lead management system. Lastly, it is also recommended that you should keep a close watch on your email campaign’s results and look for opt-outs and, bounced emails. Because based on your findings and observations, you can clean your CRM database after every email campaign is fired for optimal utilization of the resources in your CRM database. 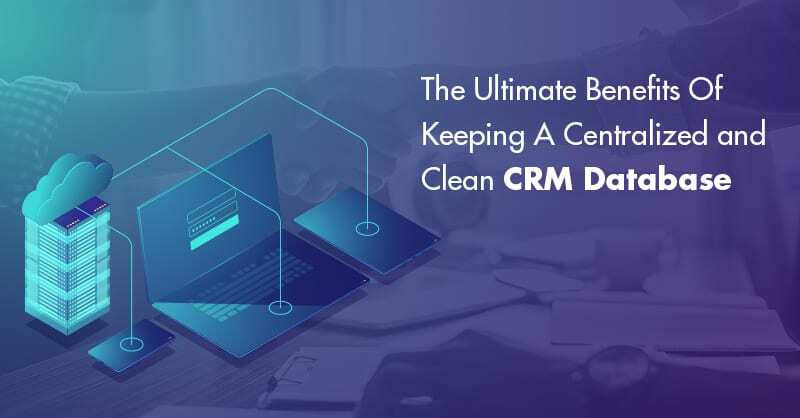 Now that we have learned how to keep a CRM database clean, let us talk about some of the tangible benefits of why you must do so, and what payback a clean CRM database can offer for the growth of your business. One of the most pertinent benefits of having a clean CRM database is that it saves your business a lot of money. No one wants to send emails to addresses that do not even exist. Therefore, when you run a periodic check on your CRM database to maintain a clean repository, your email list delivers positive results. If your contact database in CRM contains erroneous email addresses, several emails that you send will never be opened, or engaged, which as a result will never be able to paint an accurate result of email campaign’s statistics or your marketing efforts. 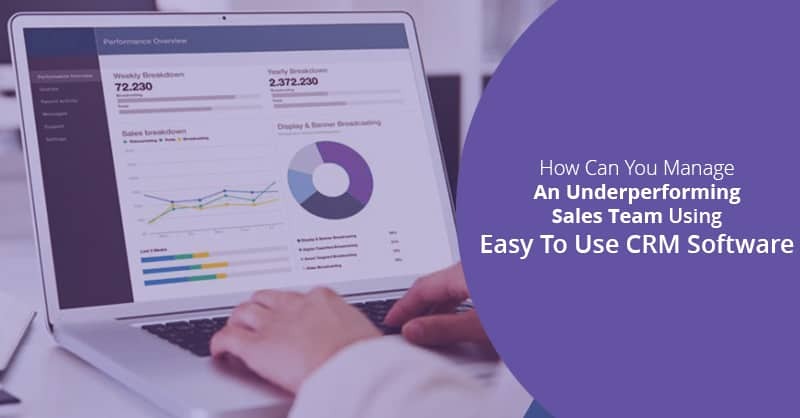 Whereby, a clean database in CRM, which is devoid of any unwanted lead and customer records, will go a long way in ensuring that your campaign stats are authentic and thereby help you to create your business strategies accordingly. Spam complains, and bounce rates determine how good your reputation is as a sender of your emails, which plays an important factor in email deliverability. Therefore, keeping a clean CRM database ensures that your sender reputation remains protected and trusted by email marketing services. Finally, a clean CRM database helps in avoiding a bad sender reputation whereby the chances of emails being placed in the spam folder (instead of the inbox) more frequently is reduced to a lot extent. 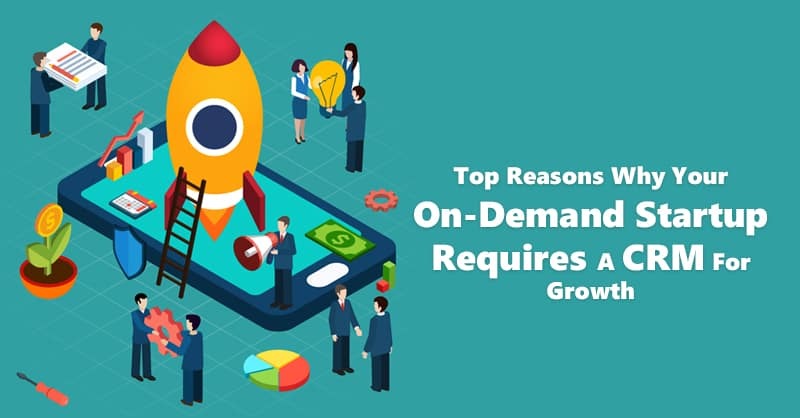 Therefore a clean database, which engages people, is bound to increases conversion rates and thereby revenue which is the bottom-line for the growth of any business today. 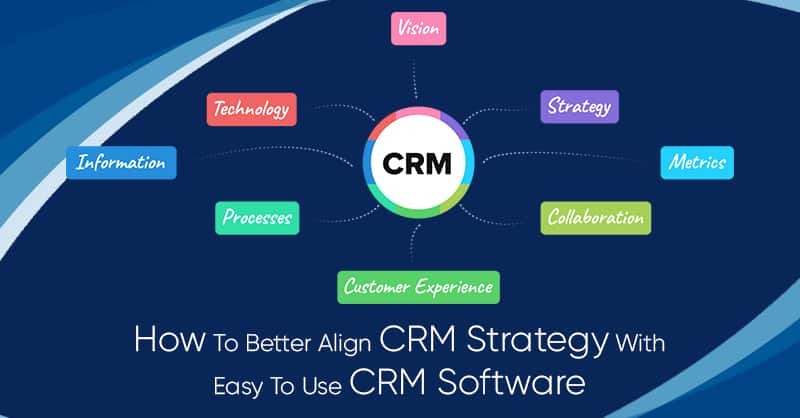 Therefore, implementing an easy to use CRM system, which ensures that the customer database in CRM remains devoid and clean of any unwanted errors can be a real asset to the organization. A Converged CRM like ConvergeHub can easily bring an end to all data management worries as ConvergeHub is the one-stop-solution for online lead management that can save your resources by targeting the most deserving leads.